Gott’s Roadside is a different kind of burger joint. 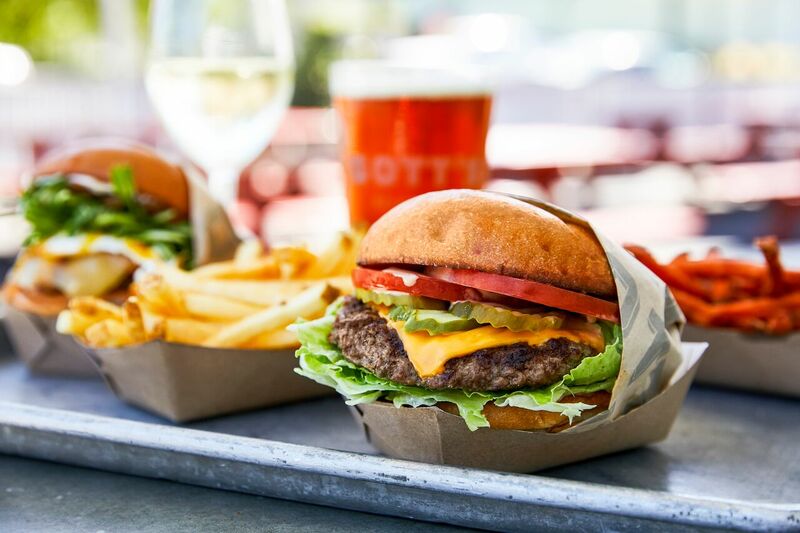 For anyone who craves delicious, high-quality fare in a welcoming down-to-earth spot, Gott’s Roadside is a tried-and-true local favorite. We serve juicy cheeseburgers, great hot dogs, incredible onion rings and hand-spun shakes alongside crispy Ahi Poke tacos, Chinese chicken salad, and a renowned Ahi burger—try finding those at your average drive-in—but our version of these American roadside favorites and California classics are made-to-order using fresh, locally sourced ingredients. Our commitment to local sourcing also extends to the glass: our California-centric list of wines and beers means you can order a Point Reyes Blue Cheese Burger with a high-end Napa Valley Cabernet Sauvignon, or sip a San Francisco-brewed Anchor Steam beer alongside your spicy, sweet potato fries. At Gott’s Roadside every detail matters and nothing is ever ordinary. Burger (cheeseburger/hamburger/veggieburger) + fries + 16 oz. fountain drink for $11.49 or add $2 for a featured beer instead of a soda.